A music genre that inevitably leads our thoughts to the Kentucky bluegrass loans, in the wide region of the Appalachian Mountains, from the gulf of St. Lawrence River up to Alabama. It is in this territory that extends for 2.500 km parallel to the US coast, that in the 18th century the musical traditions of Scottish, Irish and English immigrants met each other thus originating to the so called Bluegrass Music. 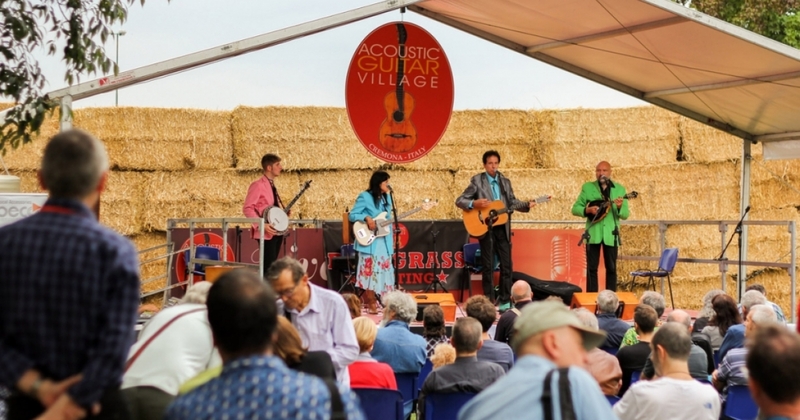 There are many bluegrass music lovers and musicians all over the world and the Bluegrass Meeting is one of the main international events of the sector. The musicians coming from further away, will be awarded with a 6-string Deering Banjo Company’s banjo and a Martin Guitars’ ukulele. John Jorgenson will be the special guest of this edition. The musicians coming from further away, will be awarded with a 6-naylon-string Deering Banjo Company’s banjo and a Martin Guitars’ ukulele.